I’m trying to find a way to get a comprehensive list of user accounts on a Windows 7 system, including hidden ones. 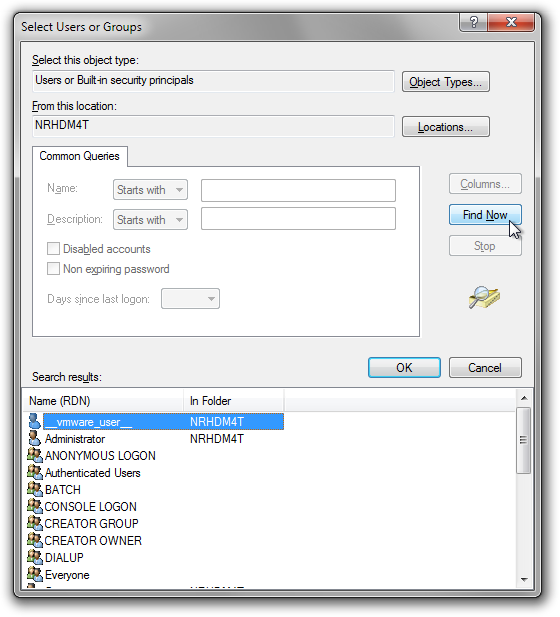 The User Accounts dialog (>control userpasswords2) only shows the normal user accounts, and even the Local User and Groups editor only shows normal user accounts and standard hidden/disabled ones like Administrator and Guest. 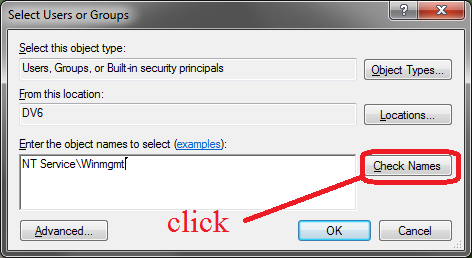 The Select Users or Groups dialog has a Find Now button which which combines users and groups, but alas, it has the same contents as the LUG. I’m looking for a more comprehensive list that includes “super-hidden” / virtual user accounts like TrustedInstaller (or to be more accurate, NT Service\TrustedInstaller—notice the different “domain”). I checked HKLM\SOFTWARE\Microsoft\Windows NT\CurrentVersion\Winlogon\SpecialAccounts\UserList, but the SpecialAccounts key does not exist. I also checked HKLM\SOFTWARE\Microsoft\Windows NT\CurrentVersion\ProfileList, and while it does have the SystemProfile, LocalService, and NetworkService accounts listed, it does not have others (like TrustedInstaller and its ilk). To be clear, what I am looking for is a list of all accounts that can be used in a user input-field such as in permissions dialogs or as a runas argument. I don't think there is an ultimate list of all possible accounts. 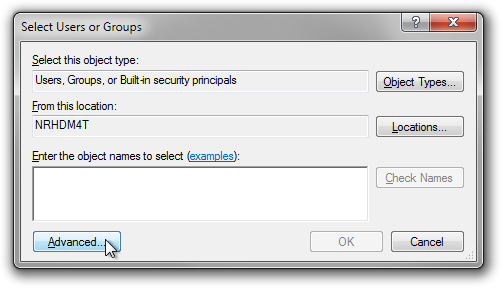 There are different types of names you can use in the user input-field such as in permissions dialogs. These are the usual users, groups and the builtin accounts. Ever though these accounts are not accepted in the permissions dialog, you can use them with icacls.exe to set permissions. There is also a special group NT Virtual Machine\Virtual Machines, which doesn't show up elsewhere. All of the virtual machine accounts are members of this group, so you can use this to set permissions for all VM files. Again you can not use this type of users in the permissions dialogs. It is not really possible to enumerate these either because one exists for each 'Desktop session', so when using two RDP sessions, you also have DWM-2 and DWM-3 in addition to DVM-1. So there are as many as there are desktops available. 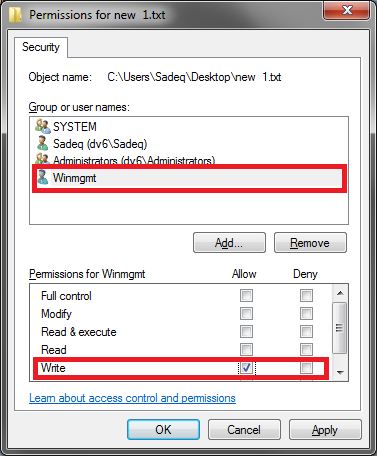 In certain cases you can also use computer names in the permissions dialog, usually when being part of an Active Directory domain. When using PowerShell and 'JEA (Just enough Administration)' and connect to a server with a PS remote session, a temporary virtual user may be created. the 'x' is an integer number. These accounts can be used when assigning NTFS permissions, but I don't know how to list all these possible virtual users. While in a JEA session you can use whoami to find out the current account name. Even these lists don't give you every possible account. For example, you can create an application pool FooBarPool then delete it again, you can still use IIS APPPOOL\FooBarPool in the permissions dialog, so there must be an internal list somewhere. This is because TrustedInstaller is a service and not a "user" object. 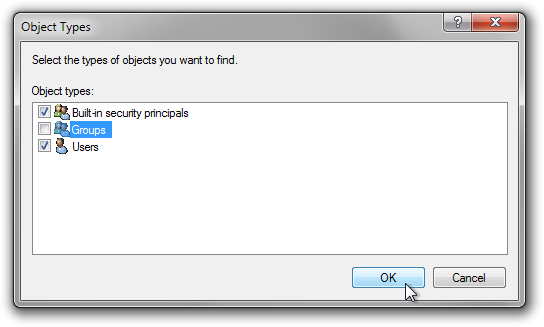 With Vista, Services are now security principals and can be assigned permissions. Go to any file on your hard drive, right-click, and select properties. Click Find Now. 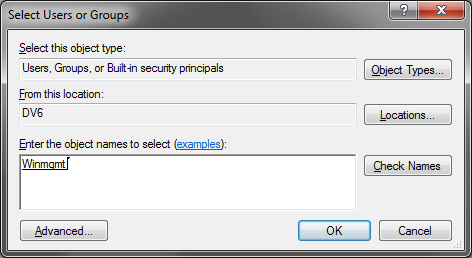 This will list all regular users and built-in system users ("built in security principles", as Windows calls them). Note that not all accounts that appear on this page can be used in a Run-As command, though they can all be used in a permissions dialog. DESCRIPTION: Displays the service SID string corresponding to an arbitrary name. The name can be that of an existing or non-existent service. Note that all SIDs start with S-1-5-80, where 80 is assigned to SECURITY_SERVICE_ID_BASE_RID sub-authority. Moreover, this assignment is deterministic: No RIDs are used, and the SID will be the same across all systems (see the references at the end of this post for more information). You can use NetQueryDisplayInformation API, combine with bitwise check on user info flag. I have exactly same requirement, so I cook a sample code (modified from MSDN GROUP query). The user flag I used are UF_NORMAL_ACCOUNT UF_ACCOUNTDISABLE UF_PASSWD_NOTREQD ---> this ensure we get Human account, Human account always requires password. Not the answer you're looking for? Browse other questions tagged windows-7 user-accounts or ask your own question. Changing “User Name” hidden my account, how can I return it? How do I remove a user account which is invisible on the logon screen or user manager for Windows 7 Home Premium?